Why the mints does not consider the problems they make to us before releasing commemoratives Anyone in the same boat? satisfied with the plastic sleeves solution or had another brilliant idea how to solve these kind of problems??? I usually put those oversized coins in a 2.5x2.5 flip from 42.5mm diameter and cut carefull the edges , untill it is 2x2, make sure you cut the same from every side, otherwise the coin is not in the center, what gives a dumb effect. I actually bought it during happier times with the intention of using it as a coaster but just couldn't bring myself to do it. 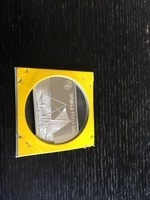 Although this particular coin lives at the bank I have several of those larger silver proofs issued by several Island Nations during the 70s which can't be shoehorned into a 2x2 album slot. I keep these in the pouch on the inside front and back covers of the binders. Non illegitimis carborundum est. Excellent advice for all coins. Supreme Ruler and Dictator for Life of the 6th Avenue Coin, Stamp & Rice Puller Club. 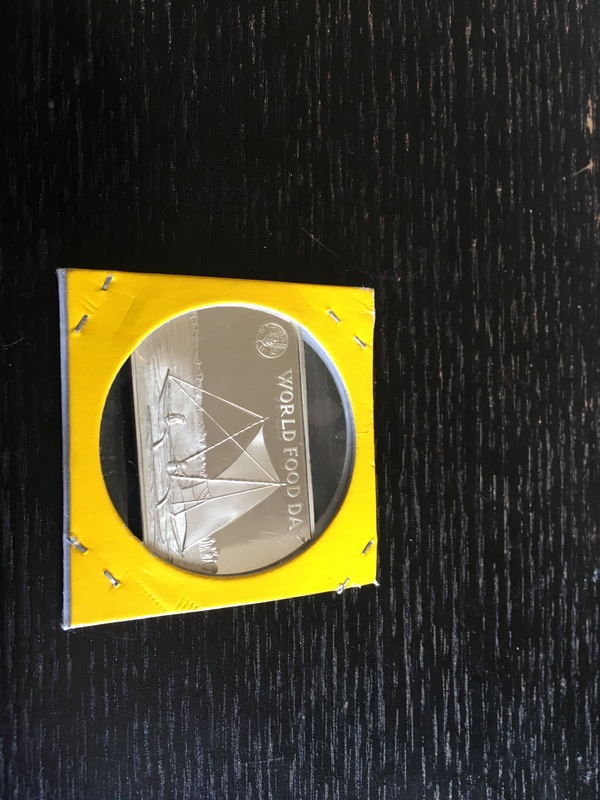 There was a company that made 2.5 x 2.5 holders with an opening large enough to accommodate a Bahamas 5 dollar coin (45mm). The company claimed the size was not profitable, and they quit making them. I hunt these, and have had some luck in finding them in dealers' stocks of older supplies. Of course, even these would not help you with the Panama 20 balboas, or similar "hockey pucks". Quote: "halfdisme" ​There was a company that made 2.5 x 2.5 holders with an opening large enough to accommodate a Bahamas 5 dollar coin (45mm). The company claimed the size was not profitable, and they quit making them. ​I hunt these, and have had some luck in finding them in dealers' stocks of older supplies. ​Of course, even these would not help you with the Panama 20 balboas, or similar "hockey pucks". ​Here, in Holland, we have them in 40/43/48/53 mm diameter and then the outside is 67x67 mm. If you like I buy some and send them to you. I don't remember from where I got it from but I have one (actually a few of various sizes larger than standard mylar/plastic flips) that accommodates my 1953 Coronation medallion of 48mm comfortably. The rest I've used for storing my military medals in instead of coins. So there's definitely someone out there providing flips larger than crownsize coins. Hartberger makes a 2.5x2.5 flip, with album pages to match. I usually order them from http://prinzuk.co.uk. I was not talking about flips; I was talking about cardboard holders that you staple to close. Quote: "halfdisme" ​I was not talking about flips; I was talking about cardboard holders that you staple to close. ​Sorry. I used the wrong term. Hartberger makes a 2.5x2.5 cardboard holder, with album pages to match. I usually order them from http://prinzuk.co.uk. I've only used the self-adhesive holders and not the ones that you have to staple, but perhaps they also supply the non-adhesive ones. ​My only solution for Tonga rectangles is to staple them into a flip.